Fruit was handpicked based on clonal ripeness and majority destemmed prior to a 7-14 day cold soak. Fermentation was a combination of cultured and wild yeast with maturation taking place over 11 months in first-grade French oak, 30% of which was in new oak. Distinctive character, with rich palate coating textures and lots of layers and depth. This Rosé is taking all before it. Pinot Meunier and Pinot Gris are fermented together, on skins, to provide the colour, texture and richness that's so much loved in this Rose. It's full of strawberries, turkish delights and cream. Say no more. Our Brut Rosé is true to the principle of Méthode Traditionelle. From the stunning 2015 vintage, this Pinot Noir dominant blend has been elevated by lees ageing and stylistic finishing. 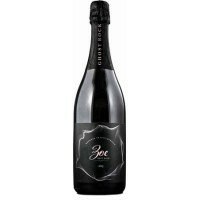 Strawberry and floral notes drive this wine; it's Brut style creating a truly moreish, fresh palate. A beautifully restrained Chardonnay style possessing elegance, texture and concentrated. Lovely white stone fruits meld beautifully with the subtle cashew-like elements of the oak maturation. A creamy texture adds complexity to the lengthy finish of this wine.